Having claimed top-ten finishes in all of the major American equitation finals as a junior under the tutelage of Andre Dignelli and Heritage Farm and having competed to great success in both the jumper and hunter rings as a professional, Shiels offers a wealth of knowledge and industry experience across all disciplines. Michelle Durpetti, one of True North Stables’ very first students, attested to seeing her goals come to fruition under Shiels’s tutelage. “Caitlyn’s approach to training is to develop confidence in both horse and rider so that they can reach their goals and have fun reaching them,” said Durpetti, who rode to consistent top finishes in both the 3’3” and 3’6” Amateur-Owner 36 and Over Hunters, including earning the 3’3” division reserve championship during week two of the Winter Equestrian Festival (WEF) in Wellington, FL. “I admittedly struggle with anxiety, to the point where it’s kind of an anxiety disorder, and Caitlyn is someone who has put me in a program where it’s manageable. 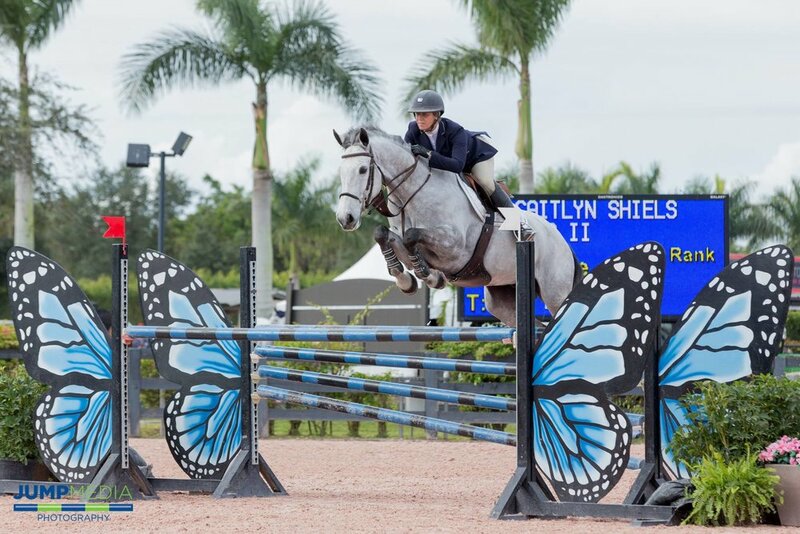 I’m able to really work past it in order to accomplish my goals,” continued Durpetti, who also started the winter season competing her own Serafina in the Low Adult Jumpers before winning the division championship during HITS V at HITS Ocala in Ocala, FL, and ultimately moving up to the High Adult Jumpers by the conclusion of the circuit.